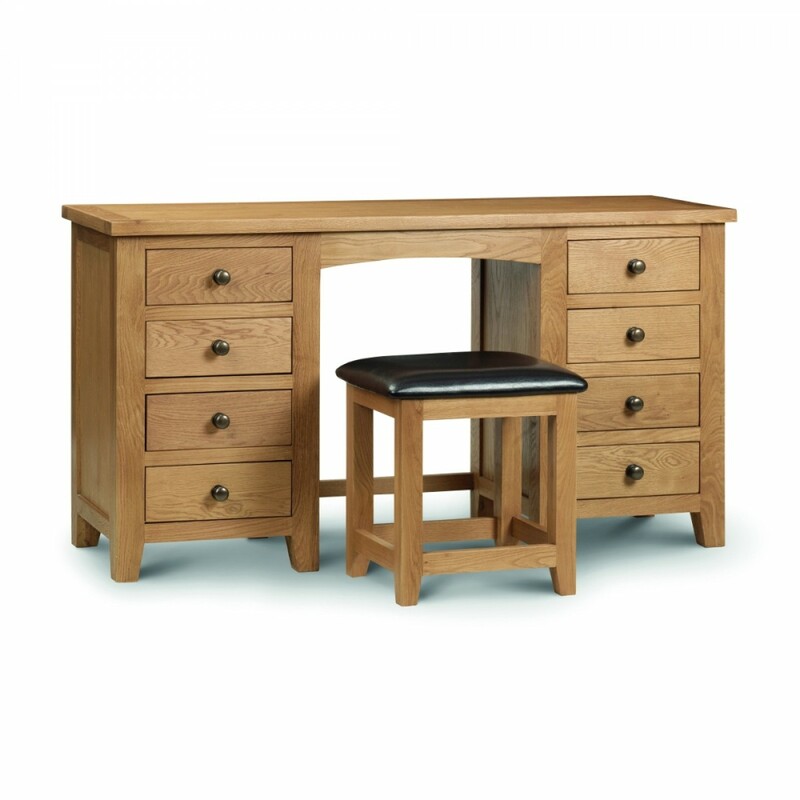 The Marlborough Oak Dressing Table with two drawer stacks is the perfect addition to any bedroom. It has two 4 drawer stacks at either side with an opening for your legs. The solid oak and oak veneer construction looks great and is strong and durable. The waxed oak finish gives a great look that will match many bedroom decors. The small Oak Stool is available separately and is not included with the twin pedestal dressing table. All 8 drawers feature ergonomic metal handles and pull out very smoothly on the runners. The drawers are constructed with dovetail joints for improved durability. The surface of the dressing table is 3cm thick. Тhe Marlborough Oak Twin Pedestal Dressing Table is supplied fully assembled. This item will be heavy please take care when lifting, it may require two people. The product is part of the Marlborough Oak Wooden Bedroom Furniture Collection.